You have been successful in the draw for tickets to attend Frankenstein's Wedding… Live in Leeds. The gap between spam and email marketing gets smaller all the time, both are basically advertisements or messages conveyed with others. If I hadn't applied for these tickets I wouldn't have wasted any time in going for the Delete option, but these are the droids I'm looking for..
Half expected to hear "Jabberwocky" yelled out in the last lecture because we arrived late and the teacher went wild! I arrived and looked into the room and didn't recognise anyone, I figured the previous class were still there and decided to wait. Everyone that arrived afterwards followed my example. When we eventually entered the lecture room he didn't appreciate the disruption and shouted?! I thought that was an overreaction and I wish that he put that much energy into teaching as I still don't understand the expectations of the module. Later we attempted Orange Wednesday but following complications settled for a Nando's. 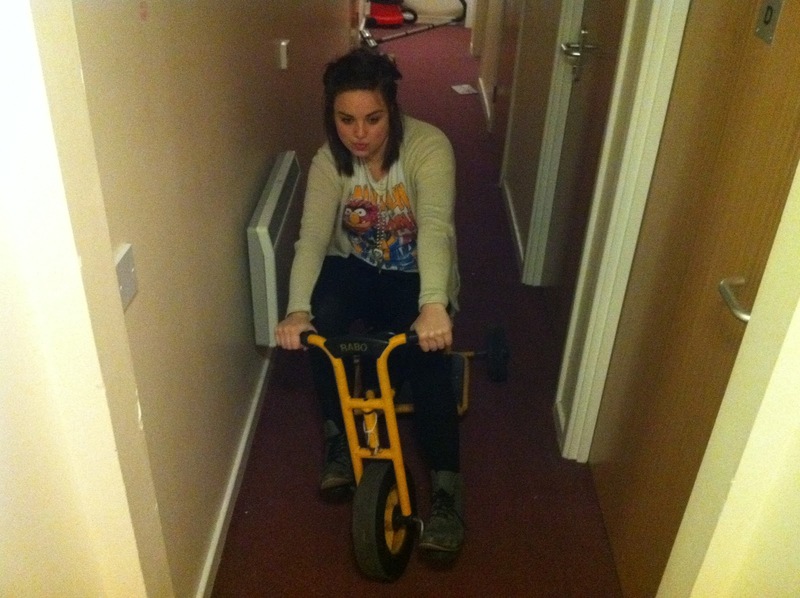 The evening ended on a positive though as we found a bike/trike, Mark Ronson & The Business Intl have nothing on this..